Our self-contained 1 and 2 bedroom apartments are all comfortable and spacious, with private balconies adjoining most rooms. 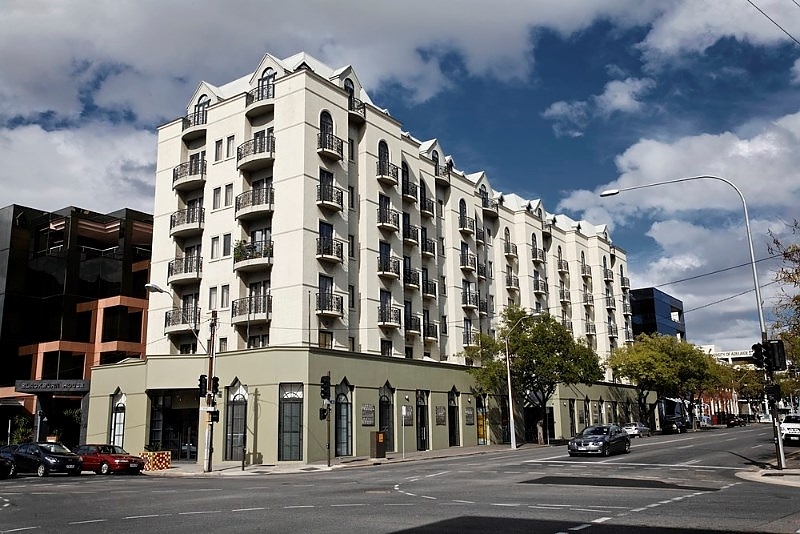 And just to make your time in Adelaide a little easier, our 24-hour reception, secure parking (fees apply), express checkout, tour desk and in–room internet access are all at your disposal. 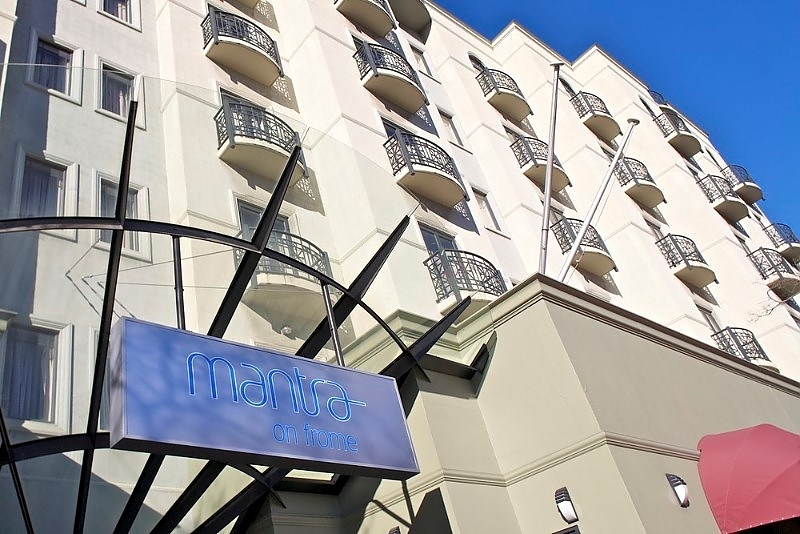 Mantra on Frome, the ideal base for Adelaide visitors who want proximity to everything. Feel right at home in this modern apartment. The facilities of this One Bedroom Apartment, many with a Juliet balcony, will be all you need and more with a full kitchen including a microwave, stove top & oven, dishwasher, full size fridge, mini bar and tea/coffee making facilities. Your sleeping area with queen size bed is cleverly separated from the lounge and dining area, so you can kick back and enjoy living space anytime. 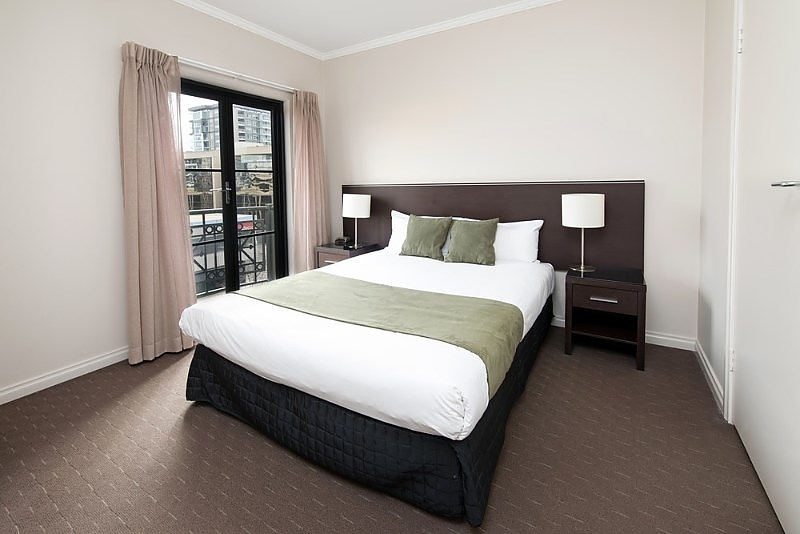 Spend the night in, enjoy your room and watch some FOXTEL or one of the many in-house movies on offer on your LCD TV. 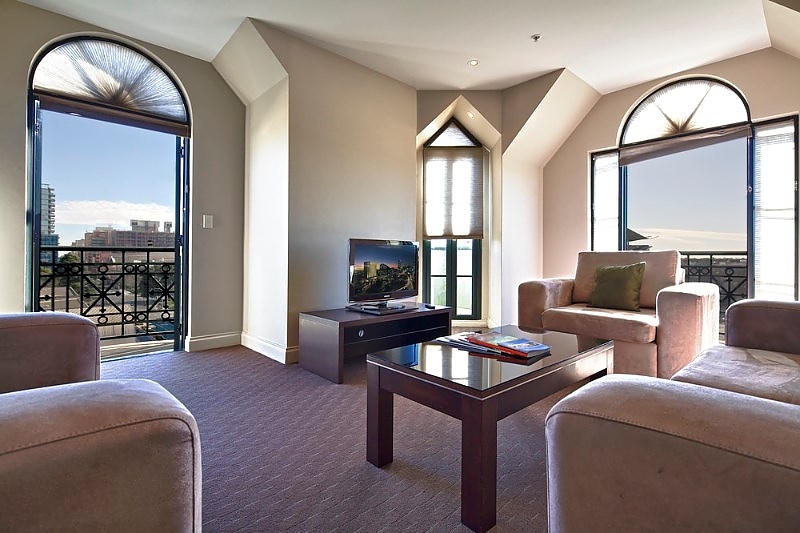 Ideal for business travellers, singles or couples looking for the best in reasonably priced Adelaide accommodation. Travelling with a large family, a group or just a bunch of friends? Mantra on Frome's Two Bedroom Apartments are modern and stylish in decor and you'll love the convenience of the functional fully equipped open-plan kitchen. You can actually sleep up to five guests with two separate bedrooms plus a sofa bed in the dedicated lounge and dining area. Whether you're in for a short visit or a longer stay, these Two Bedroom Apartments offer daily housekeeping, LCD TV, a mini bar, ironing facilities, hairdryer, exclusive toiletries, washer, dryer and Juliet balcony. Your choice of two queen beds or one queen plus one single.